"Don't do this," he implored GOP primary voters who might nominate Gingrich. As the Republican candidates wrapped up their last pre-Iowa debate Thursday night, "The Daily Show" made a plea to voters. 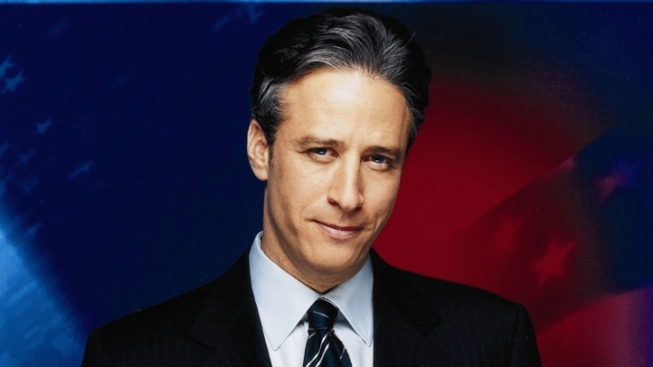 Jon Stewart swapped out his "Indecision 2012" segment name for a new variation and staged an "Intervention 2012" — trying to sway primary voters who might be looking for a glint of Ronald Reagan in breakaway frontrunner Newt Gingrich. "I would just like to say tonight to the Republican primary voters: Don't do this," Stewart soberly said. "Gingrich is like what would happen if Reagan had been abandoned as a child and raised by a family of cactuses," he joked. He played a barrage of clips of current and former GOP members of Congress badmouthing the former House Speaker — plus Glenn Beck calling him "the only candidate that I cannot vote for" and conservative Joe Scarborough calling him a "terrible person." "That's who you're gonna nominate for president? 'Can't control himself, can't stay focused, too erratic?'" Stewart asked. "Those last descriptions are usually followed by the phrase 'and he's disruptive at naptime and a bit of a biter.'"